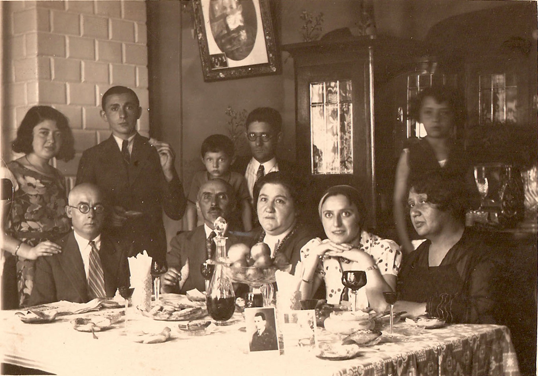 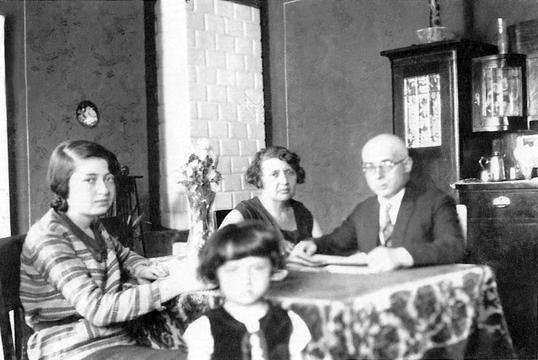 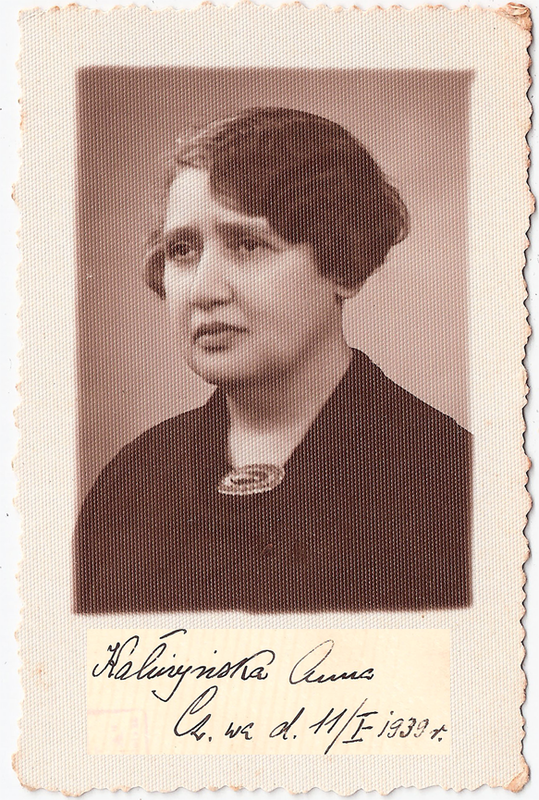 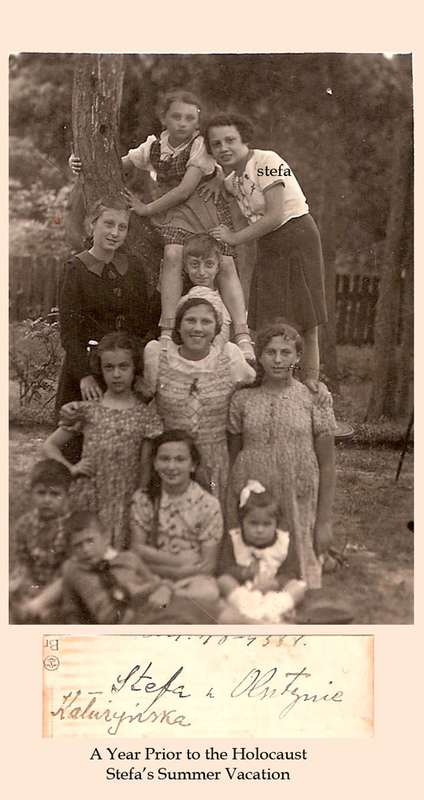 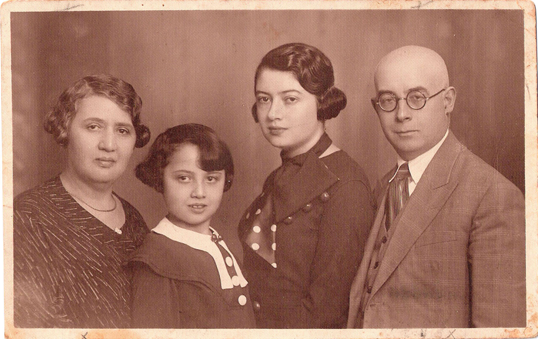 Henryk and Chana Kaluzynski Family in Czestochowa. 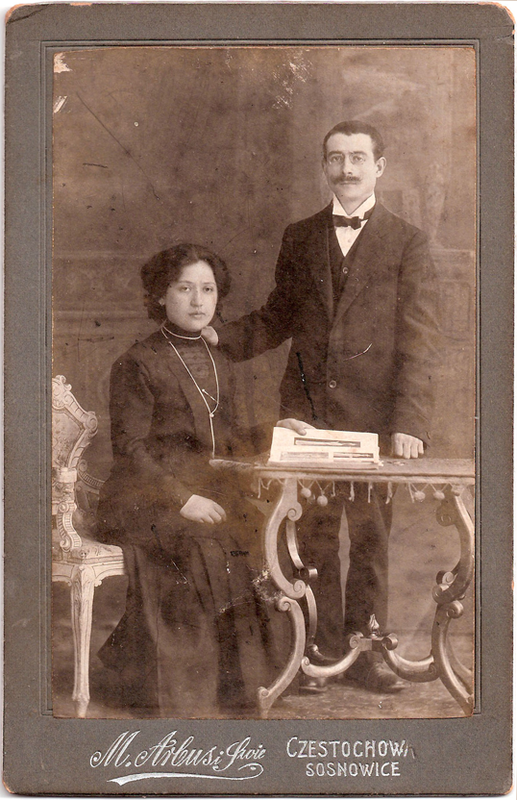 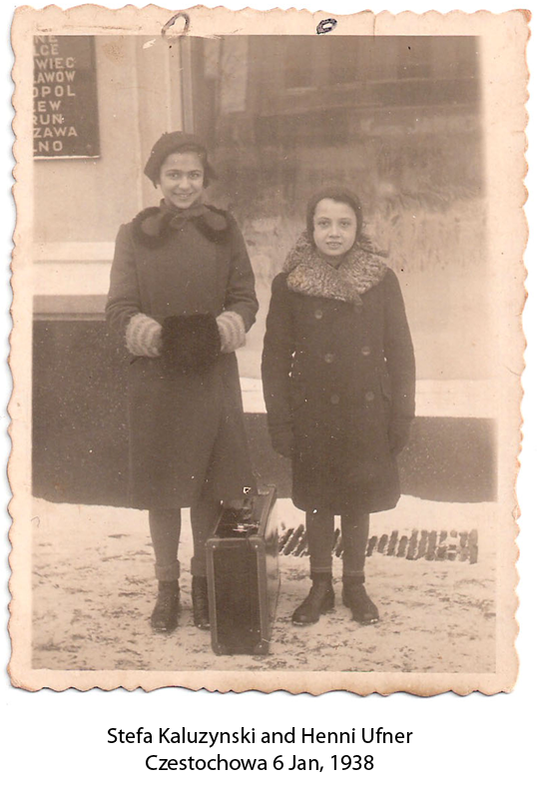 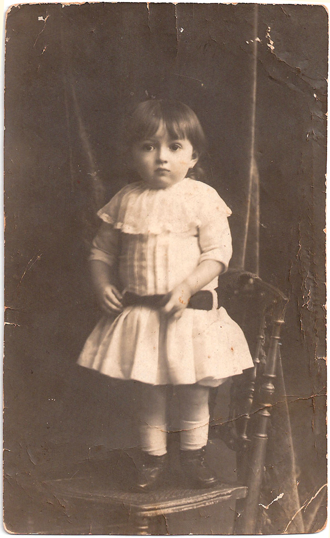 Left: Frania behind her father Henryk. 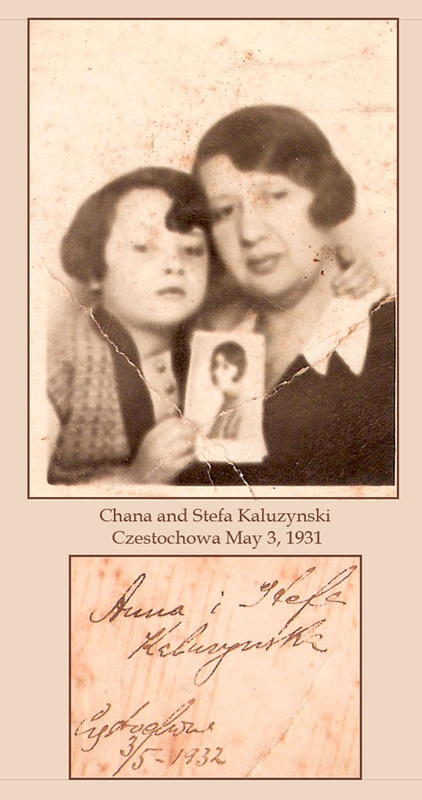 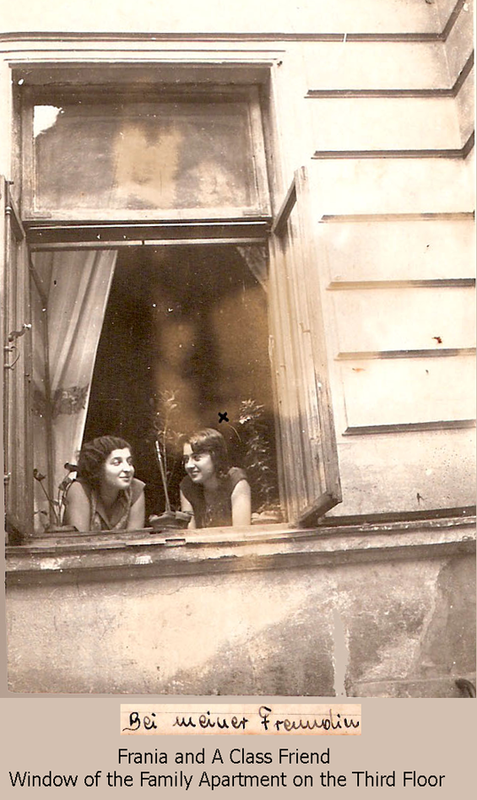 Right: Stefa behind her mother Chana. 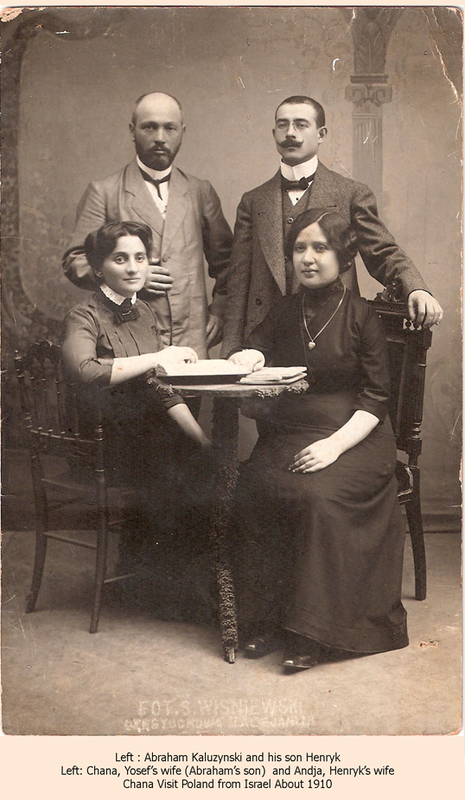 Sitting: Ela, Chana's sister, and her husband Adolf. 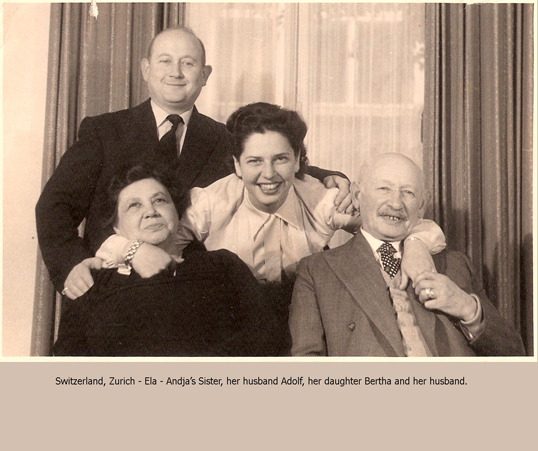 Standing: their daughter, Bertha, and her husband.